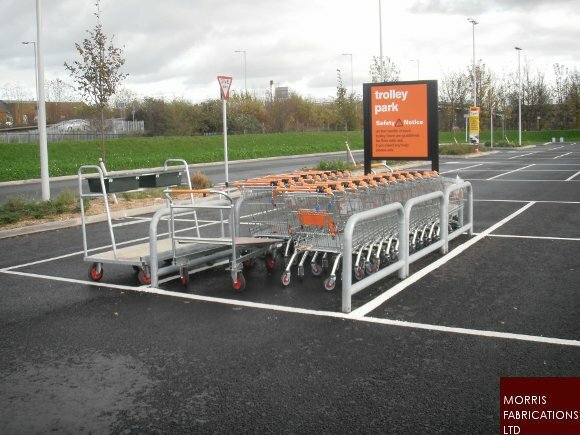 Details: This project provided Morris Fabrications Ltd with an opportunity to demonstrate our project management skills. 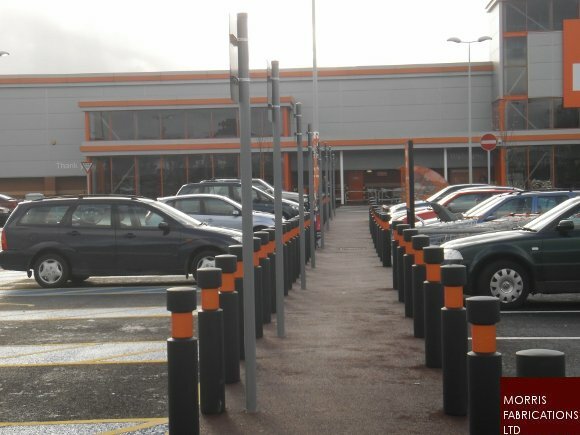 Each of the items (bollards, parking posts, armcos, barriers, door protection and cycle store) were brought in from different specialist suppliers, and all but the cycle store was installed by Morris Fabrications Ltd.
Bollards were supplied by Autopa and installed by Morris Fabrications Ltd. 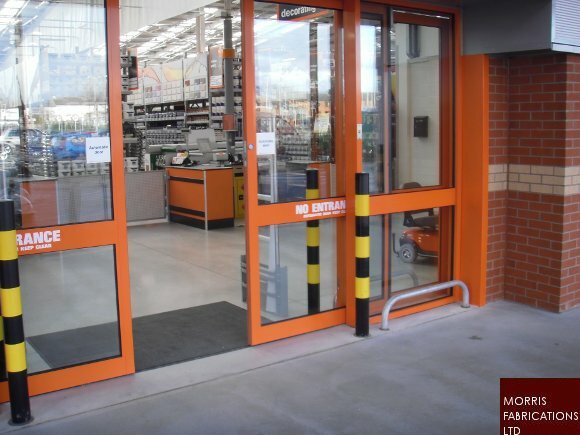 The client specified the model EB100, which has a high strength galvanized steel core and consists of a rugged, self coloured casing sleeve, made from medium density polyethylene MDPE. Cast into concrete ground, fixing spikes ensure stable casting into concrete. 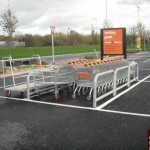 Three types of trolley protection was required on this site and consisted of external trolley bay barrier protectors, low protectors and internal columns. 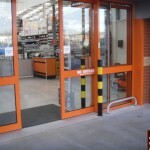 These different types of barriers can be seen from the images on the left. 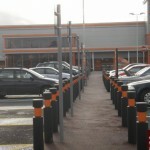 External and low protectors were made from galvanized mild steel. The internal columns were mild steel and painted black/yellow. At the end of the project we supplied a full as built operations and maintenance information manual.